The Garnì is located in the centre of a small mountain village at an altitude of 1420 meters above sea level. Exposed to the sun all year round with its own garden terrace and adjacent to a beautiful forest suitable for long summer walks and excursions with snowshoes in winter. This very quiet valley is ideal to relax and forget the hustle and bustle and stress of work. 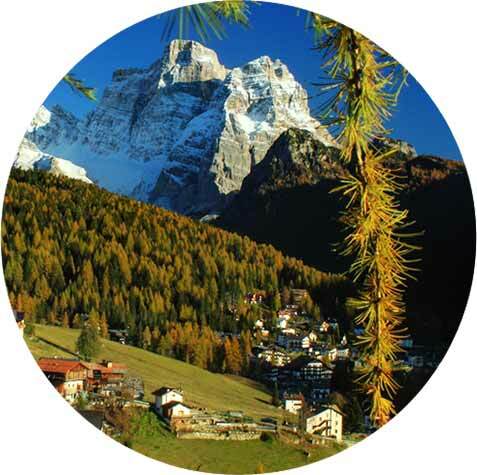 From here you can also easily reach the famous Cortina d'Ampezzo with its trendy shops, Corvara with its typical Tyrolean style and Alleghe with a charming mountain lake. The valley in which we find ourselves is very quiet and ideal to relax and forget the hustle and bustle and stress of work. We will be happy to recommend routes and excursions, but above all, we want you to have a relaxing and enjoyable holiday. Our location is convenient because you can walk to the ski slope for beginners, also within less than 1 km there are other ski lifts.